Shufflr is a free Windows 8 social video App with a totally cool interface that will allow you to search online videos all over the world. May I say, the videos will search you. A lot of features are intact into this Windows 8 app. The Daily Fix option picks all the online videos from all over the globe and bring them to you on a daily note. It picks a lot of related videos daily and add it to your dashboard. You can just click on the Timeline and just catch up with the dated video and embrace this social video app for Windows 8. You can easily log into it with your current Facebook or Twitter account. You can also use its own Guest account to view the latest upcoming video tweets and celeb controversies or may be you can just watch your social group sharing random videos. 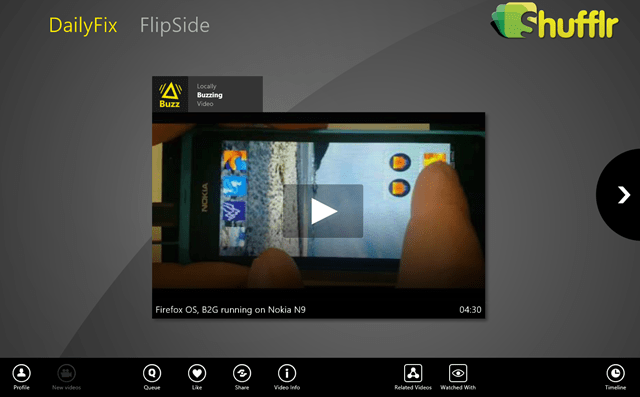 Well, the best thing I like about this Windows 8 social video app is that its trendy and urbane interface. Provides you with all the features that you need to socially connect to your friends and sharing online videos with them. There are a lots and lots and lots of categories you can browse through like News, Sports, Lifestyle, Science & Technology, Music, Auto & Vehicles, and many more. 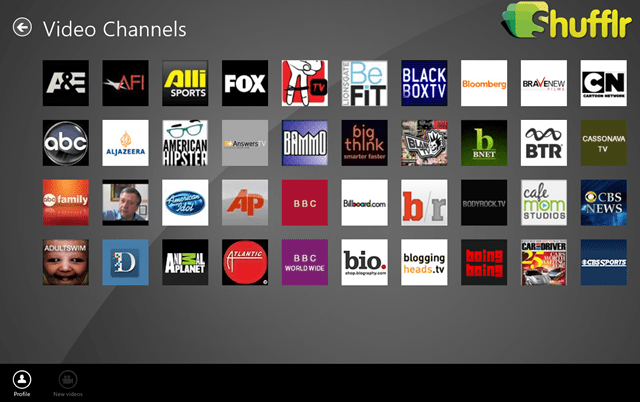 You don’t have any idea how many channels they are providing you to quench your entertainment thirst. I wasn’t even able to count that. Trust me, there are a lot of channels through which you can watch short clips or news or whatever you want. Shufflr also consist of the videos your favorite celebs are watching. 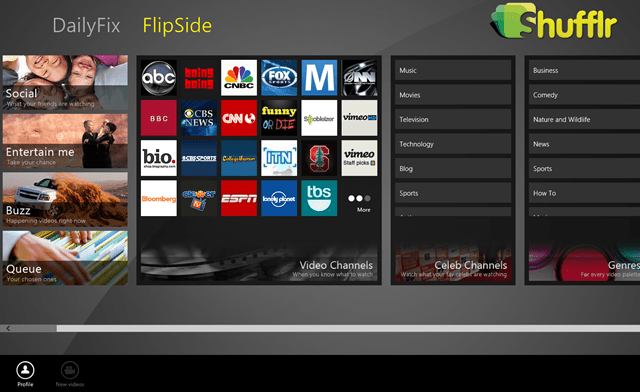 Also, check out our post on Windows 8 Movies app. You can easily queue the videos that you want to watch later. Just click on queue and make a list of your favorite videos or those you wish to watch later. Share those videos with your social group. The Daily Fix let you to watch the latest Buzz or can watch what is happening around the world on a single click and also the related videos. So that is how the interface looks like while watching your favorite videos and can also check out the video info, that what is it all about. 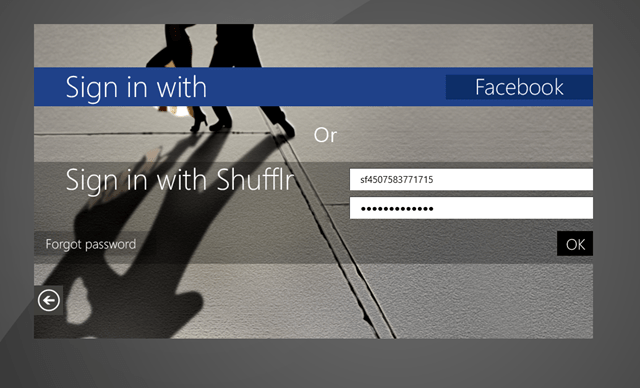 Tag it into your profile and every time you switch on into the Windows 8 social video app, it automatically gets updated. Its more easy and fun if you connect it with your Facebook account. Well, that’s just my personal opinion. Nobody has to bother about it. So guys, am sure you people want to give this Windows 8 App a quick try. So what are you waiting for? Just go for it.